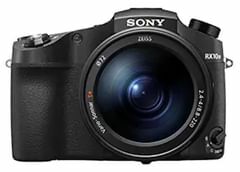 Sony Cyber-shot DSC-RX10 M4 Digital Ca… is currently not available in any stores. Return Policy 7 Days Replacement Policy - Replacement is accepted by the seller within 7 days of delivery, only if there is physical damage. In case of any software issues, kindly provide job-sheet/DOA certificate by authorized service center for product replacement. In case of wrong, missing or undelivered product, please highlight the issue within the 2 days of delivery. Cancellation allowed.